Daily updates from key wine media and my favorite sites. 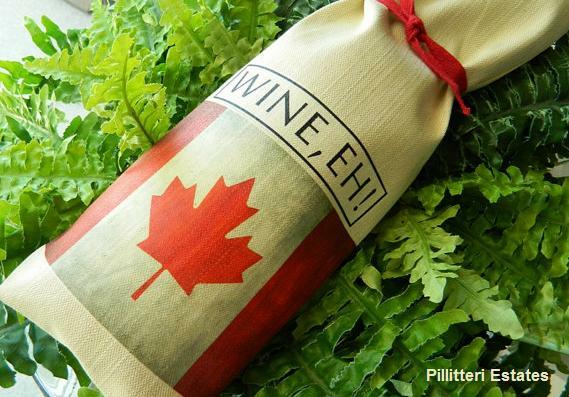 Canada has announced a contest to find the best sommelier—sommelieh?—in China. The Canadian Wine Sommelier Championship targets full-time sommeliers and F&B professionals in bars, restaurants, hotels or clubs in China, Hong Kong and Macau. Details. The forums are Wine Berserkers’ claim to fame. Check ’em out. Including this epic thread on fakes. Robin Garr has lovingly run Wine Lover’s Page for over a decade. See the main page here and forums here. The World of Fine Wine: “sophisticated approach to the assessment of fine wine.” Okey dokey. Along with writing on Chinese grape wine, I help organize an event focused on China’s, and the planet’s, top-selling spirit. So far, 21 cities are on board for World Baijiu Day on August 9. Details. Get the free Grape Wall e-newsletter, published about once per month. Subscribe here. Reverse Wine Snob gives advice how to get more bang in your bottle for your buck. Or something like that. Lewis Purdue brings together a ton of info each day on the Wine Industry Insights site. The more academically inclined can check out the Karl Storchmann-edited American Associatioin of Wine Economists site. WHITEY TAKES A SICKIE - WHAT TIME IS IT? This blog marks its tenth year this week. From fun events and winery visits to local wines and bigwigs met, here are ten photos that capture the spirit of the decade past. Natural wine? Is there artificial wine then? A whirlwind trip to a relaxed place called Lodi. It’s just as good as Napa, you guys. Really. Full post here. Wine for health? How old are you? 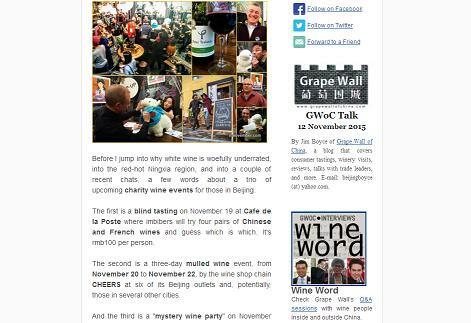 Check out Grape Wall’s Q& A sessions with wine people both inside and outside China. Celebrating the planet’s most consumed spirit. A somewhat steady hand on the capital’s food and drink scene.